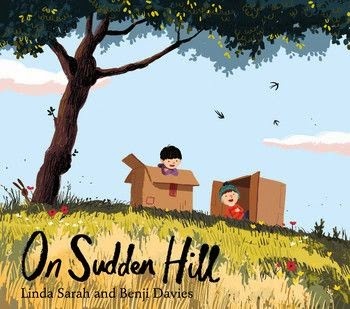 One of the things which I think is really hard to achieve in a children’s book is to convey the idea of friendship and loneliness in a way which isn’t too disturbing for younger readers. 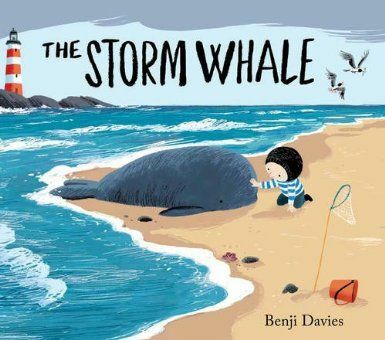 The Storm Whale does this brilliantly, through use of simple text and beautiful illustrations which seem to capture the essence of living by the sea in a bleak, barren and unpopulated landscape. We loved the idea that the little boy in the story had six cats for company when his dad was out to see fishing. Why six cats? The four year old quite rightly asked. The fact that he found a whale and kept it in the bath also resulted in questioning: Why didn’t his dad come home and kill it to eat? Asked the six year old boy. There you have an insight into our family in two simple questions.